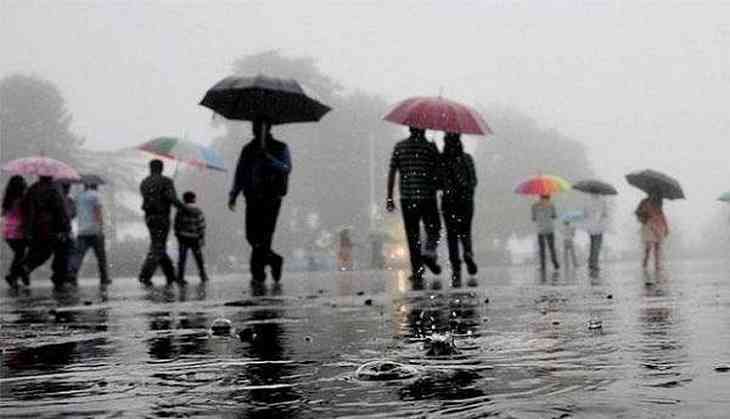 Rains lashed several parts of Himachal Pradesh during the past 24 hours, the Met department has said, as it forecast heavy precipitation in central regions of the state for August 7 and 8. Heavy to very heavy rainfall were recorded at isolated places in Chamba, Kangra and Hamirpur districts. A highest rainfall of 124.1 mm was recorded in Kangra followed by Sinhunta (123 mm), Nehri (121 mm), Jawali (109 mm), Dharamshala (95.4 mm) and Sundernagar (51.1 mm) during the last 24 hours, the department said. The lowest temperature in the state was recorded in Kufri and Keylong (13.4 degrees Celsius) followed by 15.2 in Manali, 15.8 in Shimla, 16 in Kalpa and 16.1 in Chail during the last 24 hours. The maximum temperature recorded during the period was at Una (34.8 degree Celsius), followed by 32.3 in Bhuntar, 30.8 in Seobagh, 30.6 in Kangra and 30 in Paonta Sahib.